So after quite a few years of wanting a decent printer, I went and did it, I ordered the £500 Epson Surecolor-P600 A3+ Printer which I purchased from Wex Photographic; sadly it was out of stock when I initially ordered it but Wex were quick to rectify and I’ve had and been using the printer solidly for over a week now and feel ready to share my thoughts on this monster of a printer. It’s a monster because when the box eventually arrived it was huge, we’re talking the size of a small fridge, if you’re wanting this printer, make sure you have the space for it as its extremely large. The printer takes paper in the top but also rolls in the back which can add further depth to the size of the printer if printing off on rolls is your kind of thing. 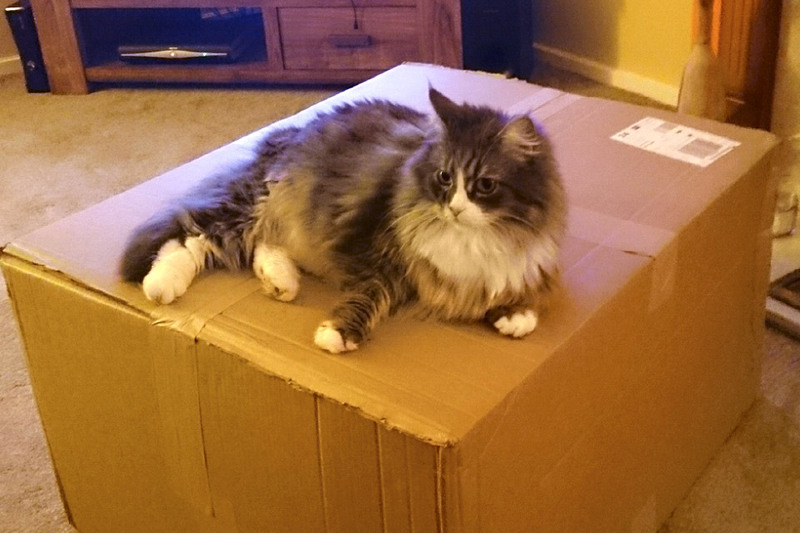 The box that arrived (Cat for scale). 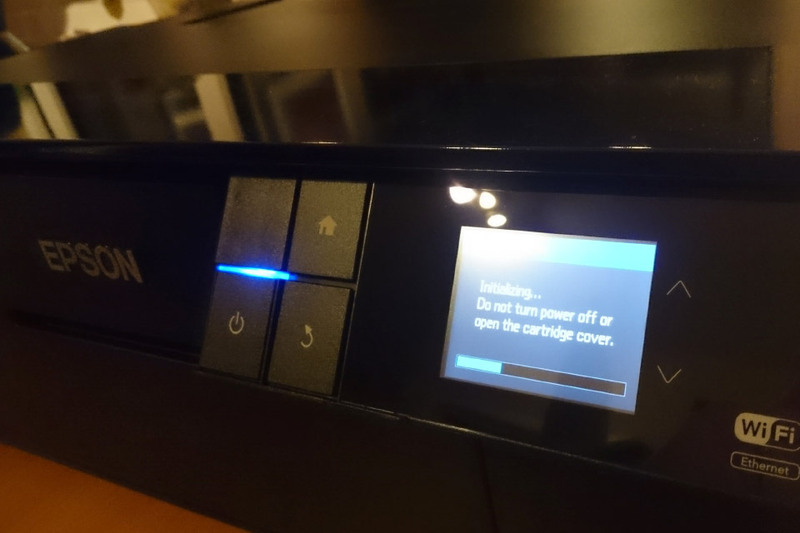 Installation of the printer was extremely easy; it took me about 20 minutes from opening the well packaged box to inserting the cartridges and then the printer takes around 10 minutes to configure the cartridges and set up on to your home network. Sadly the printer doesn’t come with a USB cable to set up your network via your Mac/PC but I simply used the touch screen to connect to my local Wi-Fi network which was as simple as it can be. I really struggled printing anything initially and soon figured it was my awful home network, connecting the USB cable I thankfully had eventually resolved my issue but it just goes to show that the exclusion of a USB cable with such an expensive printer could trip up a few people. 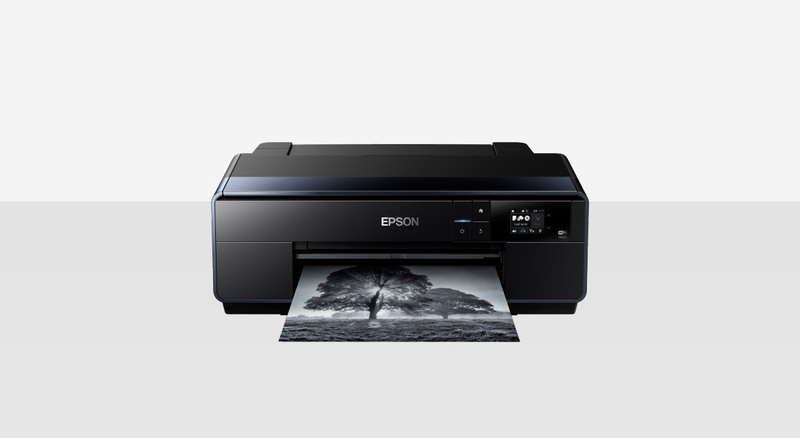 The printers touch screen is really clear and responsive to touch, it can be tilted away from the printer for easier access and the settings such as connecting to your network and loading various paper sizes is laid out in as simple an interface as possible for such a screen. 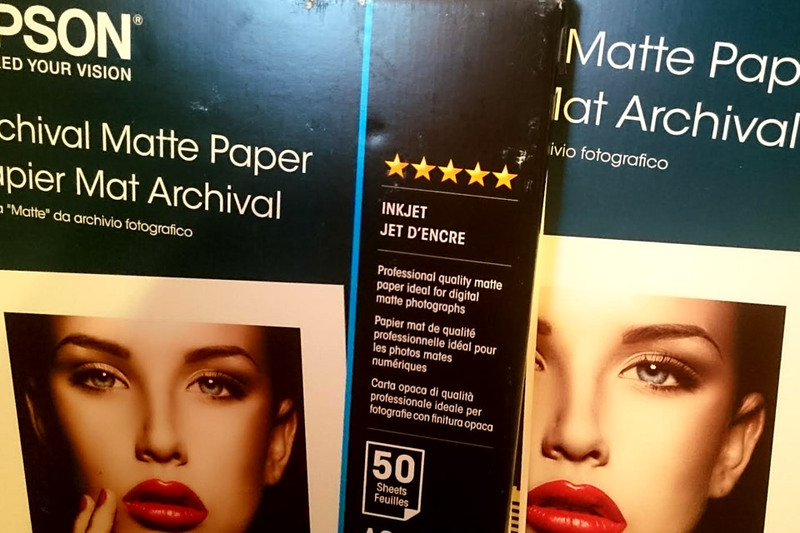 I purchased some of Epson’s own Archival Matte A3 paper for use with the printer; a really good, quality paper for the prints I plan on printing. It’s of a nice thickness ideal for rolling up and posting to customers and the ink sits so well on the paper. 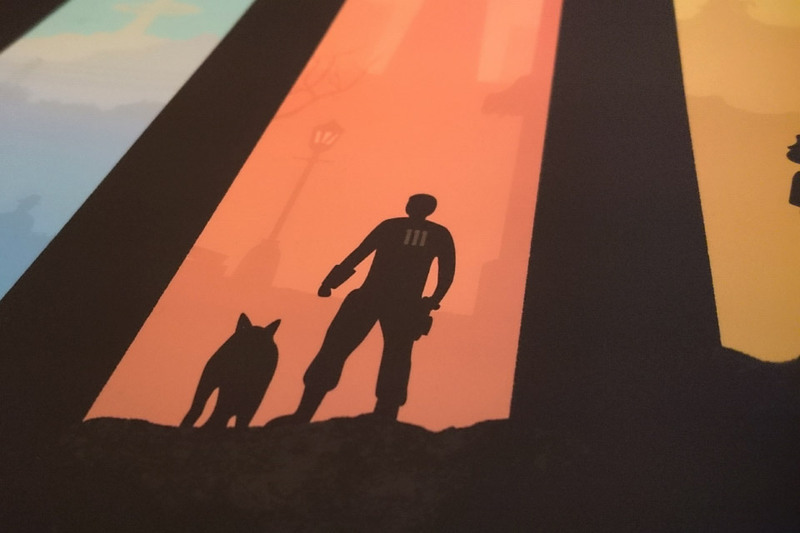 The definition in my Journey print, with its multiple bars running through the print and the alignment of the main character are both of the highest definition with no bleeding of colour to be seen. 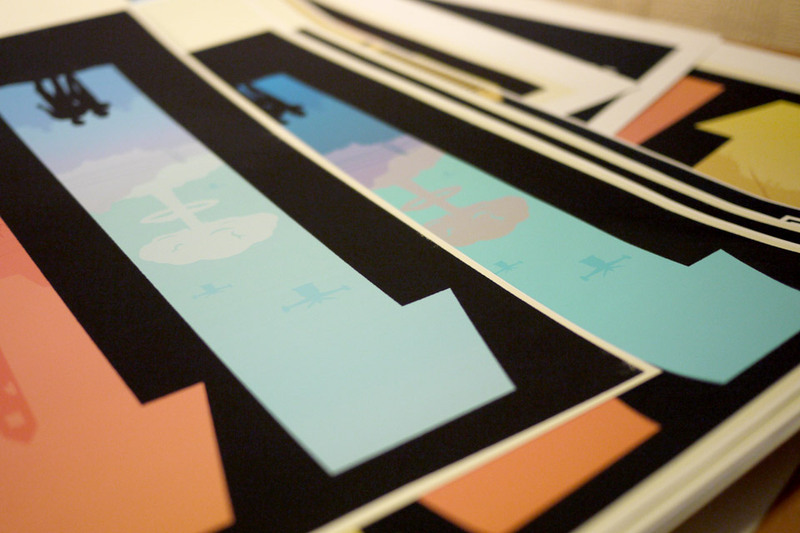 One issue I had was doing borderless printing with this paper; yes – this printer does do borderless printing which is awesome for me wanting to do print runs, however looking around online and spending hours myself I could never quite manage to get my print to align correctly to my paper. 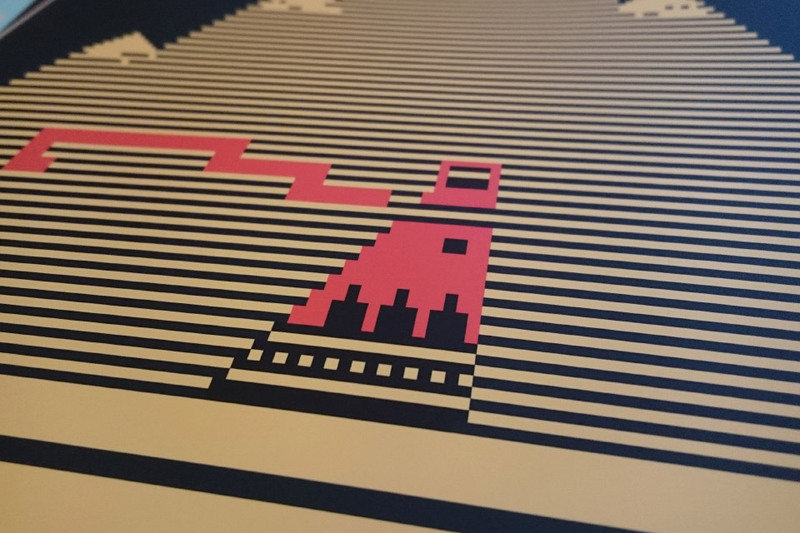 ‘Auto expand’ blew up my illustrator-based print to go off the edges making my design a little larger than I hoped and ‘fit to print’ gave one perfect edge but cut the actual print off on the opposite side. After lots of Googling my problems are probably down to my own inexperience as getting an A3 print to fit perfectly (and borderless) on A3 paper is practically impossible so I’ve realised that I need A3+ paper to print my A3 prints on and then guillotine them down to the correct size. All part of the learning experience for me I guess. 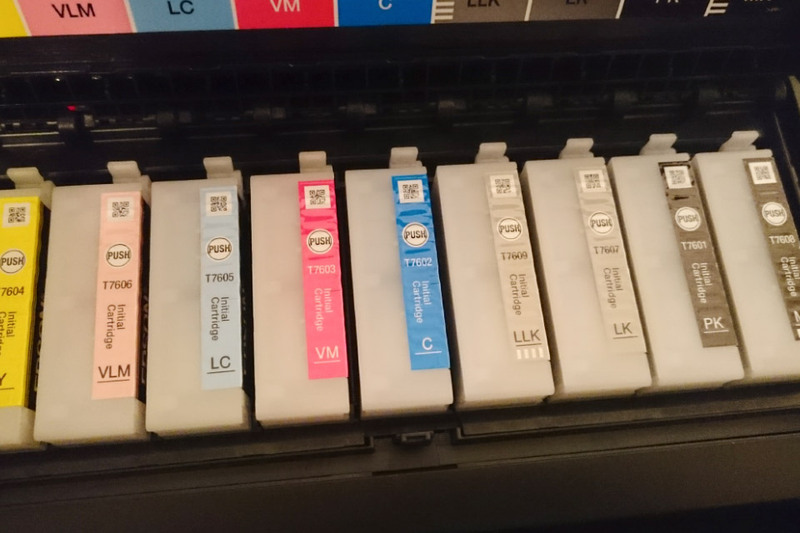 The printer comes with all nine (yes, nine) ink cartridges supplied, however it uses a fair bit of ink on the initial 10 minute setup which is a shame so I effectively didn’t have a full set to start with, and when the cartridges are around £20 a piece it adds up to nearly £180 for a full replacement set. Thankfully, the printer looks like it will give me a very decent run of prints before any of the cartridges need changing. I’ve been printing constantly all week with full colour A3 prints; experimenting, reprinting, testing colour profiles and the like and there’s tons of prints to show for the initial cartridges so I’m more than happy with how much output im getting from this first set. All in all, this printer is excellent. I took a real gamble I felt on this printer as I’ve never spent anywhere near the amount I did on a printer before, but I did my research and I’m so happy that I went for the SC-P600 in the end. It comes highly recommended for anyone who wants to print off their own work without the need for expensive printing companies and the back and the forth that can come with that. This printer will pay for itself in no time at all and here’s to creating more and more print based wonders on this monster of a printer.